The mystery of how the record-breaking French submarine Surcouf sunk has been debated since the day it disappeared in the Pacific, near Tahiti. Were she and her 130-strong crew blitzed out of existence by the enemy or was something more sinister at play? Perhaps the sinking of the undersea cruiser was just a terrible, terrible accident? Surcouf was the largest submarine ever built right up until the Japanese produced the I-400-class subs. She was named after Robert Surcouf, who made a fortune by sailing the Indian Ocean as a privateer and merchant. 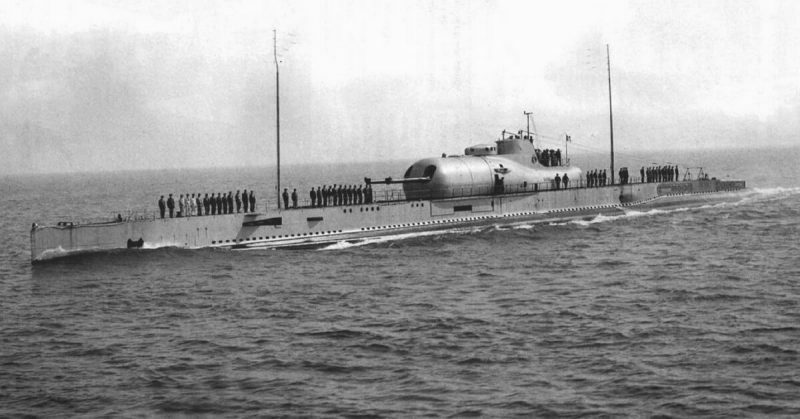 Surcouf was built to act as an underwater cruiser and was meant to seek and engage surface ships. In order to carry out reconnaissance, she was equipped with a Besson MB.411 floatplane in a hangar that was specially built near the conning tower. As part of the original design, a platform was supposed to lift a lookout 15m (49ft) into the air, but this was quickly abandoned because of the effect it would have on the roll of the vessel. Another way units manning the submarine could direct fire was through the Besson observation plan, which could identify targets up to the guns’ maximum range of 39km (24mi). But despite all these impressive numbers, the Surcouf run into a number of difficulties from very early on in the her life. The trim was tricky to adjust during a dive and on the surface, the submarine rolled badly in choppy water. She also took two minutes to dive down just 12m (39ft), at which depth she was vulnerable to aircraft. Because the Allies didn’t want her taken, the crew was ordered to seek refuge across the channel in Plymouth. Surcouf ended up making the short journey across those dangerous seas with one engine inoperable. On the 3rd of July came the first bloodshed the submarine would be involved in and it resulted in the needless and tragic death of three British men and one French sailor. Because the Allies were concerned that French ships would be taken over by the German Navy, Operation Catapult was launched. This saw the Royal Navy blockade harbours that held French ships, who were given an ultimatum: rejoin the fight against the Axis powers, scuttle the ships or put themselves out of reach. Back in Britain, the Surcouf was boarded to ensure that the ship would not fall into the wrong hands. The French took exception to his age-old foe forcing their way onto the jewel in the crown of the French Navy and a scuffle ensued. After the dust had settled and the tempers calmed down, Cdr Denis Sprague, Lt Griffiths and LS Webb lay dead – while Yves Daniel was fatally wounded and would also pass away. 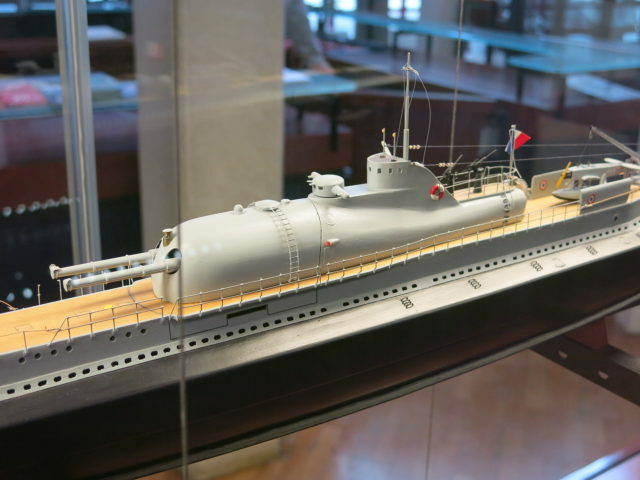 Conning tower on the model of the French submarine Surcouf. The British completed Surcouf’s refit by August 1940 and handed her over to the Free French Navy, who opposed the Vichy France regime. Tensions were still high at this point and both sides accused the other of working for the Germans via the puppet regime in France. One extraordinary British claim was that the sub was attacking British ships. After being handed over the French resistance forces, Surcouf ended up in Quebec City in December 1941. It has got there via Halifax, Nova Scotia and a three-month refit at Portsmouth, New Hampshire, after being damaged by a German plane while escorting trans-Atlantic convoys. In January 1942 the Free French sent the submarine to the Pacific and re-supplied in Bermuda. 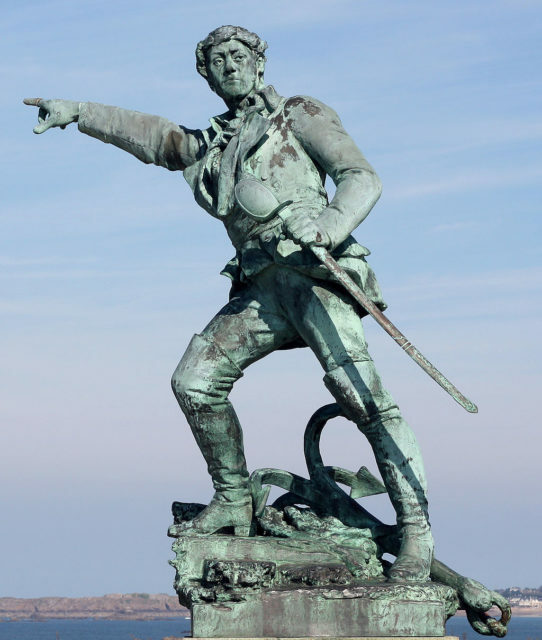 This change of direction sparked rumours that Martinique was going to be taken from the Vichy for Free France. Then, all of a sudden, Surcouf was no more. After leaving on the 12th of February for the Panama Canal, communications suddenly ceased. One theory is that she was sunk on the 18th of February 1942 after being ridden over by the American ship Thompson Lykes, which reported hitting and running down a partially submerged object. Another theory suggests that she was swallowed by the Bermuda Triangle or that she was caught in the act of refuelling a German U-Boat and was sunk by American forces. Finally, the records of the 6th Heavy Bomber Group shows the sinking of a big submarine on the 19th of February. There was no German activity reported lost around that date. The clincher? The 6th Heavy Bomber Group was based out of Panama.